Yesterday I issued a challenge for you to toss the games that were missing pieces or that your kids had just plain outgrown. 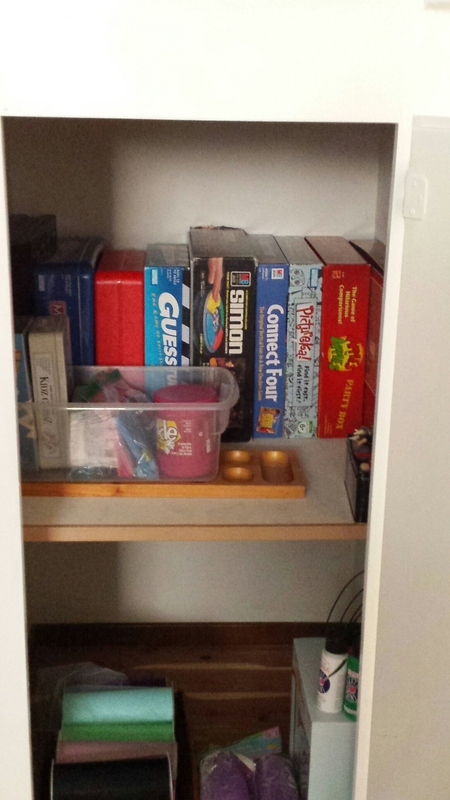 Here is our game cupboard. My kids are 12 and (almost) 16 so the games we have are ageless (like Monopoly and Apples to Apples) and nostalgic (like Simon and Perfection). We did keep a couple simpler games like Uno and Connect Four for when my nieces and nephews are over and because I dream of grandbabies one day, but only a couple, ones my kids will still play with occasionally, and ones in good condition. Never let any category get out of control.